Now pets can explore their favorite neighborhoods of Downtown City in their own unique ways! And what's better for a tour of Acorn Park than a glider trike? -This ostrich (Opaline Featherwisp #69) and little kiwi friend (Rowdy Apto #70) can't really fly, but pretend they take the scenic route to explore all of the park's delights. -Deco Bits piece, an emoji bubble, and stickers are included to help tell stories about their adventures. -And girls can bring their pets to life in the LPS Your World app*. -Once the app is launched, simply hold the pet and scan the code to unlock it in the game! -Play activities, decorate, and design a cool Littlest Pet Shop world digitally! *Available at least through December 31, 2017. Not compatible with prior apps, earlier LPS pets, or current LPS smaller pets. Littlest Pet Shop Your World app works with select iPhone, iPad, iPod touch, and select Android devices. Updates may affect compatibility. Check littlestpetshop.com for availability, compatibility, and instructions. In-app purchases available. 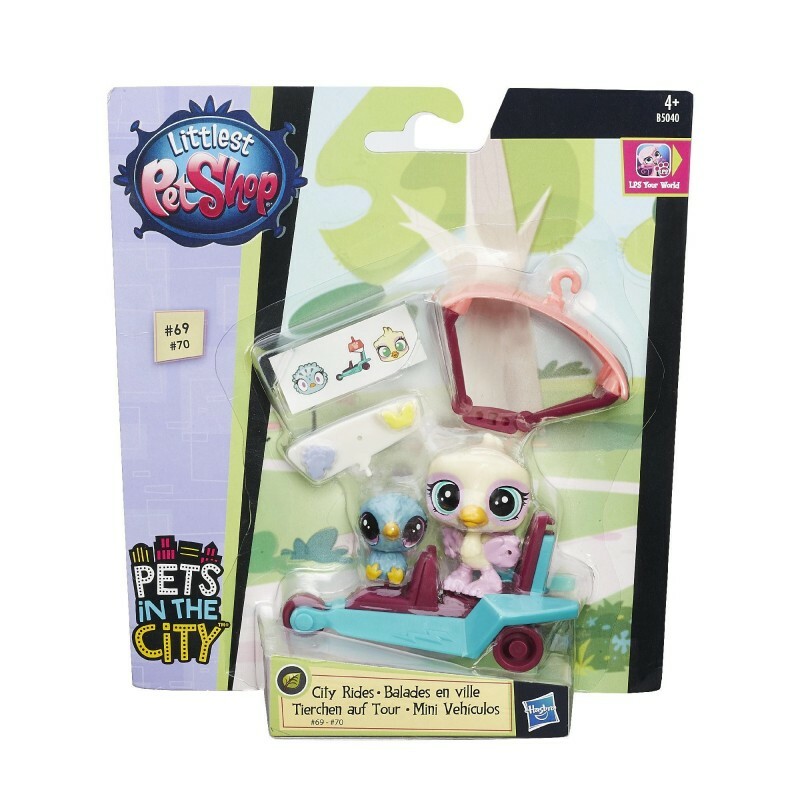 •Includes glider trike, pet, pet friend, 2 Deco Bits pieces, emoji bubble, and sticker sheet.